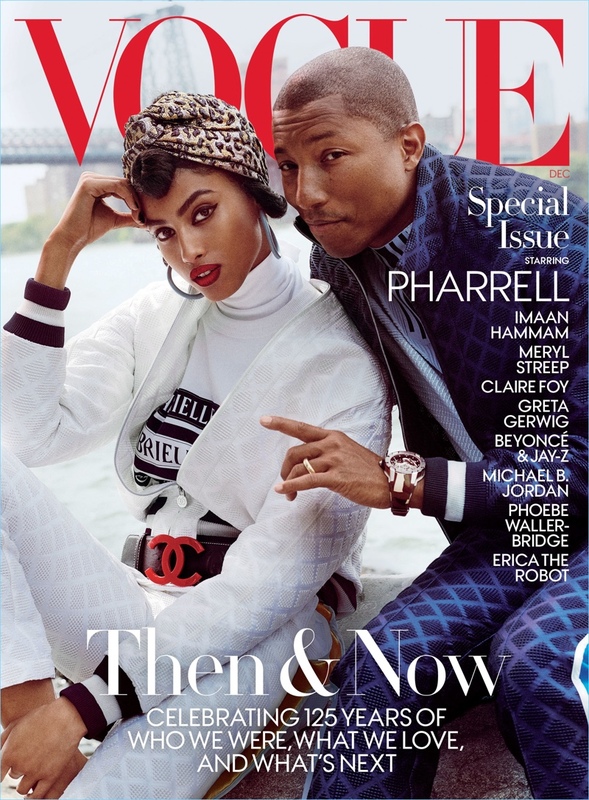 Imaan Hammam and Pharrell cover a special December issue of Vogue . Following his Vogue Met Gala cover, Pharrell reunites with the magazine for another special edition. This time around, the singer/hit-maker snags a special December cover. Inspired by Andy Warhol , Pharrell mixes it up with a cast of models and artists. Mario Testino photographs the colorful feature. 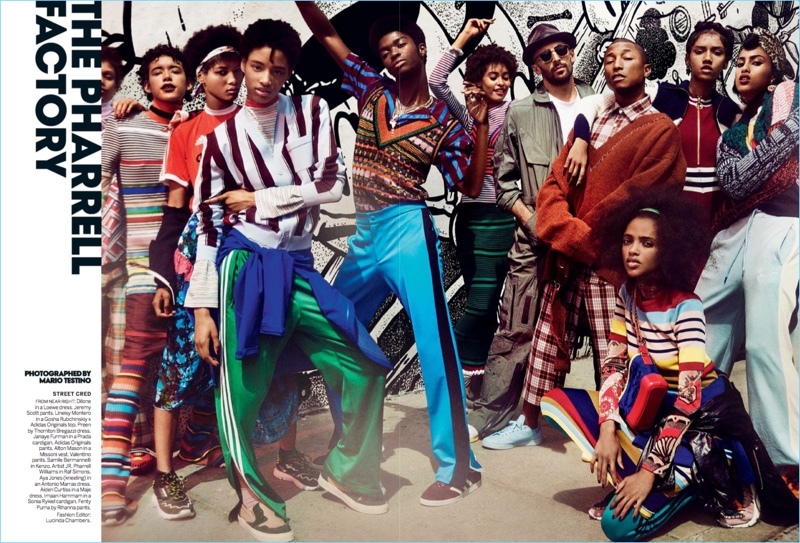 No small feat, models such as Joan Smalls and Imaan Hammam join Pharrell. 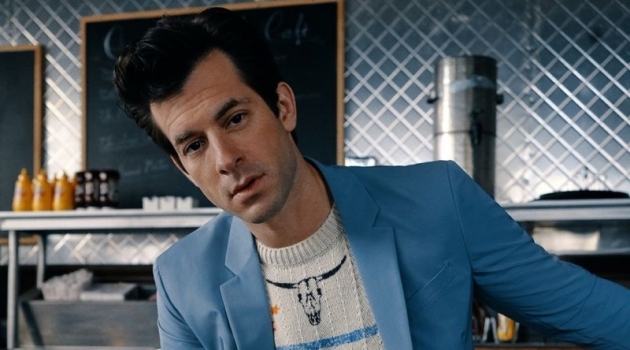 He stands out from the crowd in vibrant designs from brands like Valentino and Louis Vuitton. Pharrell also talks to Vogue about working with other artists as a producer. Have you ever looked at somebody’s Instagram, looked at all those selfies, and noticed that it’s the same side every time? asks Pharrell. My job as a producer is to reflect back to my artists the beauty of the other side. I’m here to identify the dark side of the moon for you and encourage you to see that that side is beautiful, too. 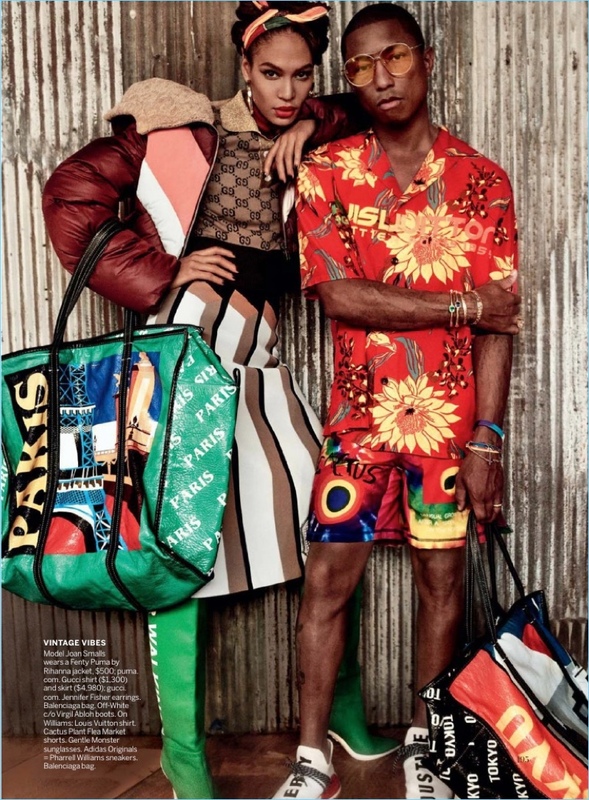 Mario Testino photographs Pharrell, JR, and models for the pages of Vogue . 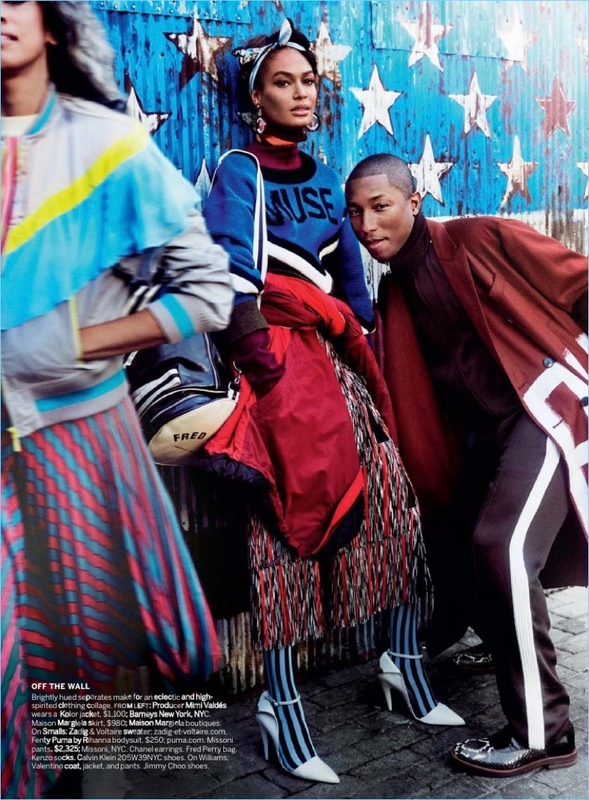 Joan Smalls and Pharrell pose for an image together. Pharrell wears a Valentino look with Jimmy Choo shoes. Making a style statement, Pharrell wears a Comme des Garçons Homme Plus jacket, t-shirt, and shorts with a Cactus Plant Flea Market for Human Made cap. Embracing tropical style, Pharrell appears in a photo shoot with Joan Smalls. 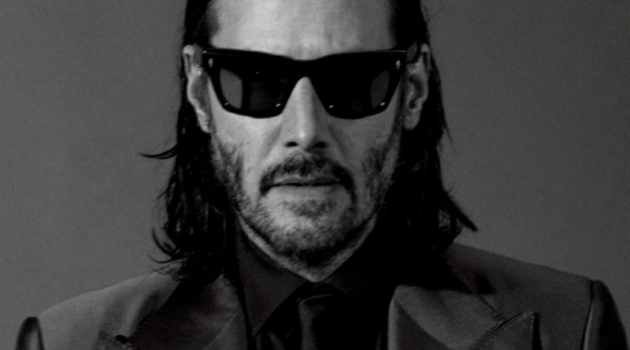 He wears a Louis Vuitton shirt with Cactus Plant Flea Market shorts, and Gentle Monster sunglasses. The artist also sports Adidas Originals sneakers and a Balenciaga bag. 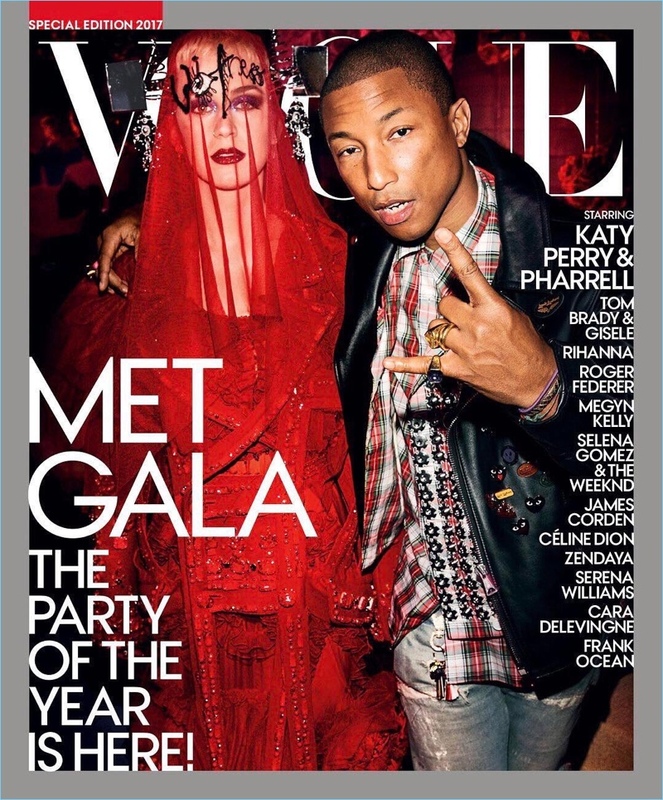 Katy Perry and Pharrell cover the 2017 Met Gala special issue of Vogue .